The networking starts at end points. Without endpoints networks wouldn’t be needed. Now, before you can really learn about more complicate things such as how to configure your routers or switches – and we are about to embark on a long journey in our AD-net blog of all the protocols and network models that endpoints use to communicate on networks. Network models are used to standardize network communications and deliver the protocols that are used in networking. If we had x ray vision and we could see what was happening behind the scenes inside of our computers we would see something that looked like a network model. These models represent everything that’s happening on our endpoints when they’re sending data. Before we explain network models in detail let’s take a look at an example of a computer sending an e-mail. First our computer needs to create application data by writing the e-mail. Once the email was created at the top of our network model. 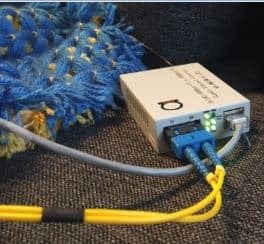 Protocols are used to help us sudden the data at each model layer all the way until it’s time to send the data out of the computer’s wireless or wired network interface. Figure 1: Networking reference layers for an example of computer sending an email. Then the data is transmitted all the way across the network to the email recipient and the data is sent through the network layers in the reverse direction. Now you’ve seen an example of how network models represent our communication. We are ready to learn about the details of the two network models that TCP/IP model and the OSI model. Let’s begin with the TCP/IP model. TCP/IP models made up of four layers application transport Internet and network access. Each layer plays a specific role in the TCP/IP model. Let’s start at the top of the TCP/IP model with the application layer the application layer is where host data resides. And example of application data would be web browsing or e-mail. Next we have the transport layer the transport layer manages host to host communications for each application. The Internet layer creates IP packets with the data that has been sent down from the application layer and through the transport layer. Source and destination IP addresses are assigned so that the packet can be routed to reach its destination across the network. Then we have the network access layer when using either not this layer adds a frame around the IP packets from the internet layer with source and destination MAC addresses these addresses are used so that the frame can be switched across the network. Then finally the frame is sent out the actual network device wired or wireless port each TCAP IP model layer has a corresponding protocol data unit the protocol data and units are created during what’s called the encapsulation process. We have the data PDU application layer segment for the transport layer packet for the Internet layer and frame for the network access layer. The encapsulation process is the process of adding information to the application data as it is sent through each model layer. Each time the data passes through the layer it creates a new PDU like a segment packet or frame. The information added that each layer is used to help some of the data across the network to reach its destination. Once the encapsulation process has been completed on the host then it sends its ones and zeros out signals out of its physical layer. And when the remote destination receives the signals and interprets the data – decapsulates the information in the reverse order all the way up to the application data. 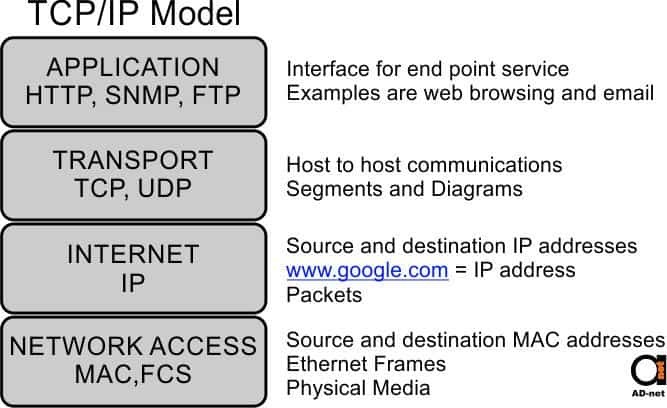 Now we’re going to jump away from the TCP IP model to look at the OSI model though us-I model has the same goal as the TCP IP model. What you’ll notice here that it has more layers it actually has seven layers starting at the top. Again we have the application layer. Which has the same purpose as the TCP IP model! The presentation layer formats application data for delivery. 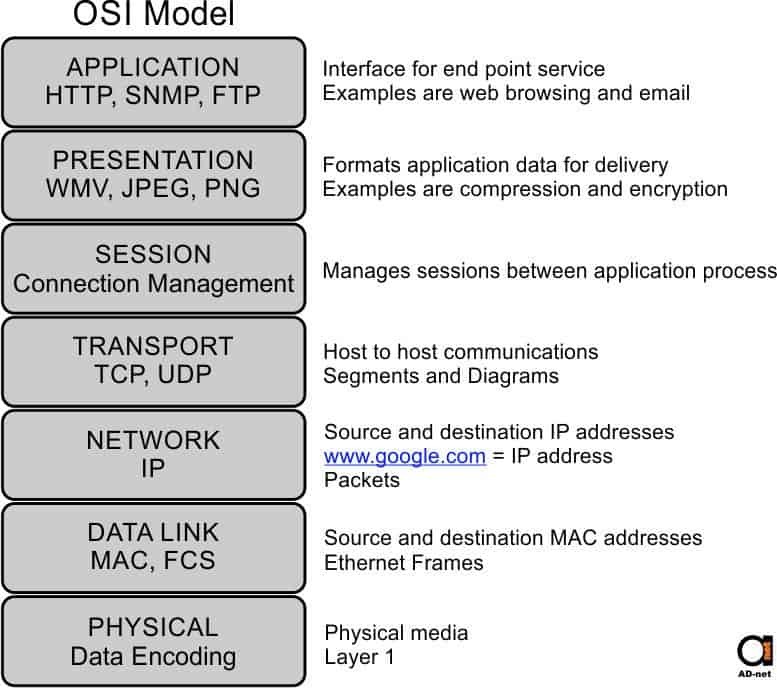 Some examples are compression and encryption of data and other new layer is the session layer which is used to manage sessions between application processes the transport layer and the OCI models is the same role as a TCP IP model transport layer in the network layer is the same as the Internet layer one compared to the TCAP IP model. The last two layers are actually the network access layer from the TCP/IP model split into two. Datalink layer handles the either not frames and source and destination MAC addresses. While the physical layer handles data encoding and actually sending our traffic out of our network interface cards one important thing to know about the OSI model is that its layer numbering is typically what in the real world with networking were referring to one were describing different layers of the model. For example if I am a trouble shooting a networking issue I might say its probably a layer one problem and I’m referring to the physical layer layer one of the model or sometimes you’ll hear someone say oh that’s layer 7 issue and then we’re talking about the application layer. And that means it’s the application team’s problem. The OSI models encapsulation process behaves the same way as the TCP IP model encapsulation process. Except of course it has some additional layer. Now that we have a basic understanding of the OSI and TCP IP models and the next videos we’re going to look into each critical layer so that we can see how these layers integrate into networks.